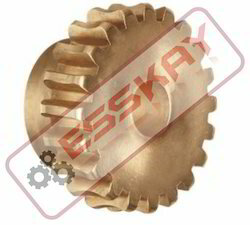 We supply a wide range of spur gears and bevel gears for varied industrial and machinery applications. Manufactured using latest technology, our precision engineered Spur Gears and Bevel Gears deliver superior performance even in most demanding conditions. 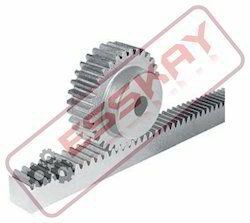 We supply a wide range of RACK AND PINION for varied industrial and machinery applications. Manufactured using latest technology, our precision engineered Spur Gears and Bevel Gears deliver superior performance even in most demanding conditions. 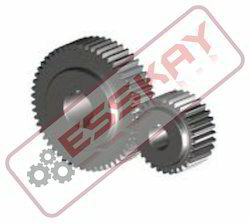 We supply a wide range of WORM GEARS for varied industrial and machinery applications. Manufactured using latest technology, our precision engineered Spur Gears and Bevel Gears deliver superior performance even in most demanding conditions. 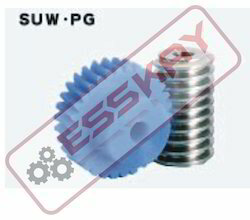 We supply a wide range of WORM for varied industrial and machinery applications. Manufactured using latest technology, our precision engineered Spur Gears and Bevel Gears deliver superior performance even in most demanding conditions.